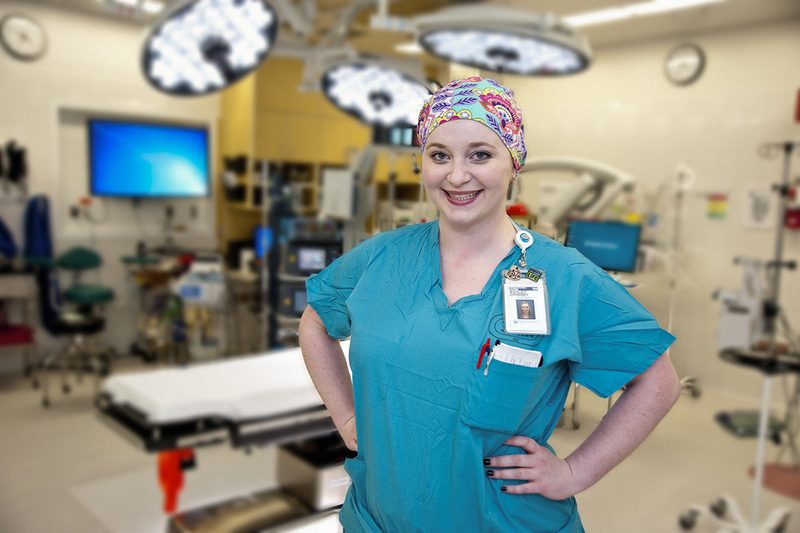 Ashley Ormsby, RN, BSN, ’13, (pictured above) a Spokane native, was eager to begin her first job at Harborview Medical Center, a level one trauma facility serving Washington, Idaho, Montana, Alaska and Wyoming. “I was prepared to face some difficult traumas and patients in the operating room; poly traumas, brain bleeds, full body burns,” she said. After completing a six-month nursing residency, she was ready to join her colleagues on the floor. It was a Friday evening and Ormsby was finishing up her final shift for the week. An elderly male patient she was caring for was brought in for a wound VAC (vacuum-assisted closure). This routine surgical procedure paled in context to his injuries he had sustained: an orthopedic trauma, a collapsed lung, and a crushed pelvis. Though he was a stable patient, he had issues with his blood coagulating days earlier. The procedure was uneventful and physicians began signing off for the night. Ormsby finished her shift as the patient began quickly regaining consciousness from anesthesia. “When he woke, he was active and then became increasingly distressed. He thrashed violently in his bed and then became completely unresponsive. I checked for a pulse and found none. I immediately called a code and began chest compressions,” Ormsby recalled. And in those moments she was giving orders, she remembered. “I had an identical simulation at WSU where the patient had a PE. I was very surprised by my ability to remain calm and level-headed, but I could in part because I had done it before,” she said. For nearly 30 minutes, Ormsby and another nurse rotated performing active CPR, giving the patient chest compressions. The attending physicians and anesthesiologists returned and began managing the code. After dozens of rounds rotating compressions, the patient finally had a pulse. He was going to live, fighting until he could breathe on his own. In the hours that followed, Ormsby connected with her fellow nurse colleagues who recognized her for her quick thinking. Ormsby added that fellow nursing students who had participated in the 50 percent simulation group agreed the simulations helped in complex, high stress situations. They had already gone through the experience and it allowed them to remain calm. “We were trained for it,” she said. Kevin Stevens, director of the Clinical Performance in Simulation Lab at the WSU College of Nursing, said that Ormsby’s experience indicates why simulation is an exceptional teaching and learning model. “What students experience in the sim lab is very real, yet it allows them to practice complex cases in a safe environment, with instructors and peers providing feedback along the way,” Stevens said. Hearing from Ormsby, who reached out to Kevin following the incident, was personally and professionally validating. Between 2011 and 2013, WSU was one of 10 nursing schools to participate in the National Simulation Study by the National Council of State Boards of Nursing (NCSBN) to investigate the effectiveness of substituting clinical hours with simulated patient scenarios. 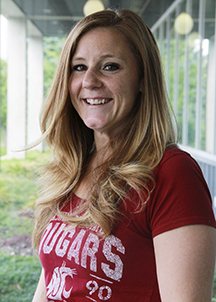 Ashley Ormsby, featured in this story, participated in the group that substituted 50 percent of her six clinical courses with simulation— the most of any group. The study is extremely relevant as nursing educators face challenges with placing student nurses at clinical sites.